Would you rather meet Rosa Parks or Martin Luther King Jr? Personally, I wish I could meet both and it's really hard to choose but it would have to be Rosa Parks for me. Her bravery to not give up her bus seat makes me want to cheer and say, "You go girl!" No offence to Martin Luther King Jr. He truly has stood his own bravery and brought awareness of how people were not being treated fairly according to the color of their skin. I wouldn't miss an opportunity to meet him too. This prompt is too hard! If you are studying any famous people, try this writing prompt: Would you rather meet ___ or ___? 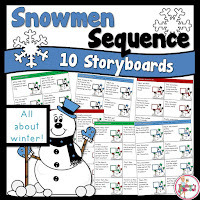 You could also do this with characters in a story you are reading or with authors. Would you rather meet Dr. Seuss or Beverly Cleary? 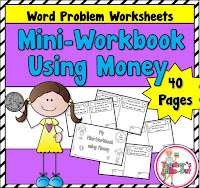 I am offering this FREE worksheet: Would you rather meet Rosa Parks or Martin Luther King Jr? 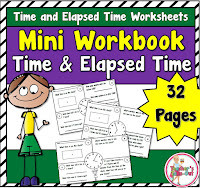 This worksheet is ready to go. All you have to do is print! Students state their opinion. 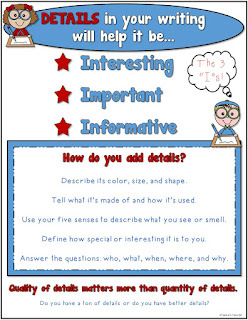 Write three reasons why they support this and end with a closing statement. 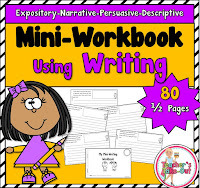 This is a great opportunity to use some persuasive or opinion writing in the classroom. 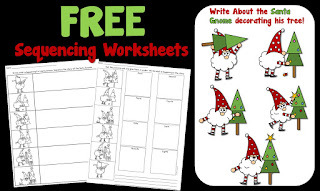 Just click the picture above to download it and begin using it in your classroom today. 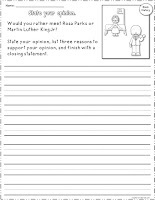 When I was creating the "Would You Rather... Opinion Starters", I thought of using the Rosa and Martin worksheet in the pack but I saved it to use during Black History Month and MLK Day. 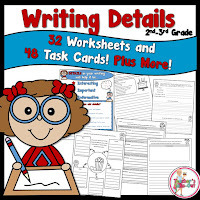 This writing pack, "Would You Rather..." writing prompts, has a variety of topics that you can use anyday. 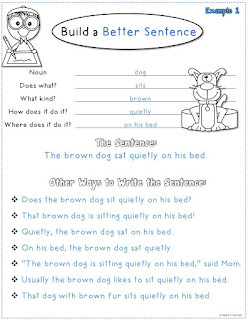 Click the picture on the left to read more about these opinion worksheets. 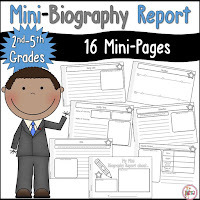 Are you working on biographies? 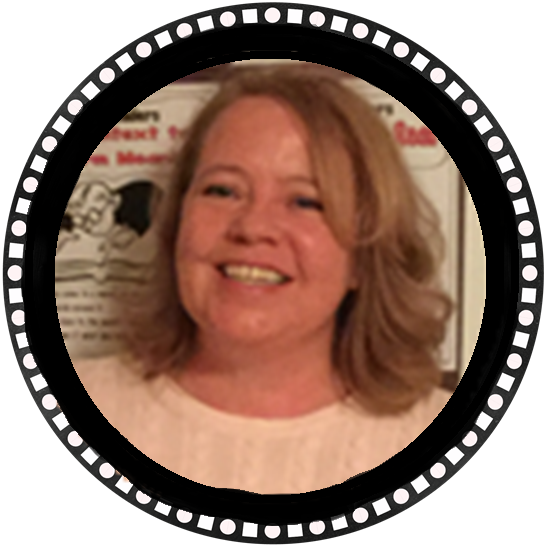 I just created this Mini-Biography Report that is ready to go at anytime. The students do all the work. 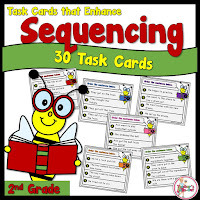 They research and find information on any person they want to study. 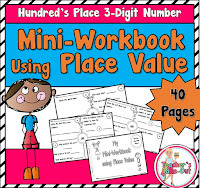 Students fill in the information on the pages provided and assemble it into a mini-book. Click the picture on the left to read more about it. Don't miss another post or freebie! 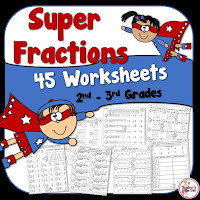 I created this pack of Super Fractions which includes 45 worksheets all about fractions! 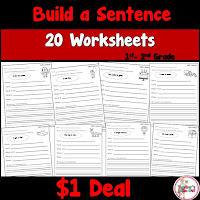 This superhero theme makes these worksheets engaging and super fun! 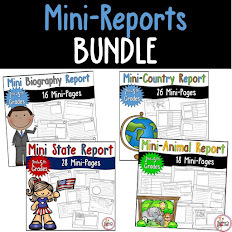 If you are a 2nd or 3rd grade teacher, this is a great pack to fit the needs of all your students. 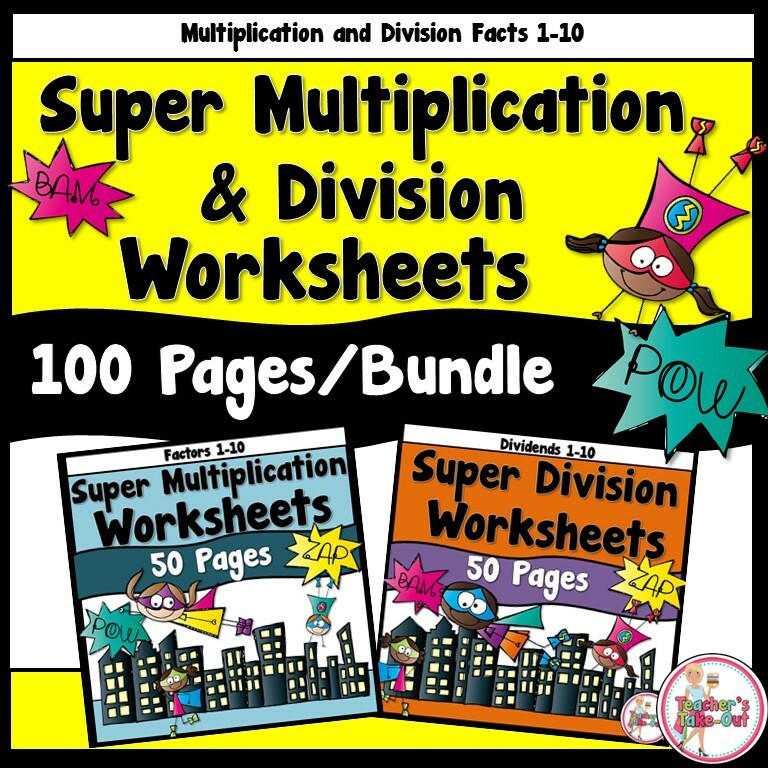 Plus this pack is a great supplement to your own fraction unit. 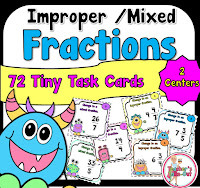 These handy little worksheets are perfect for beginners and those that need a good review of fractions. 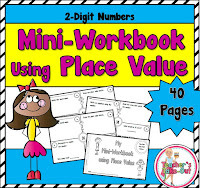 You can find pages like comparing, ordering, naming fractions, fraction of a set, and word problems. 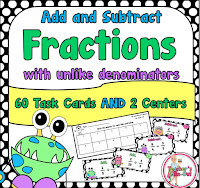 This pack also uses like and unlike denominators. 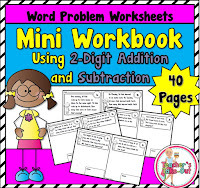 The worksheets can be used during your fraction unit, sent home for homework, for assessments, or place at your math centers for early finishers. 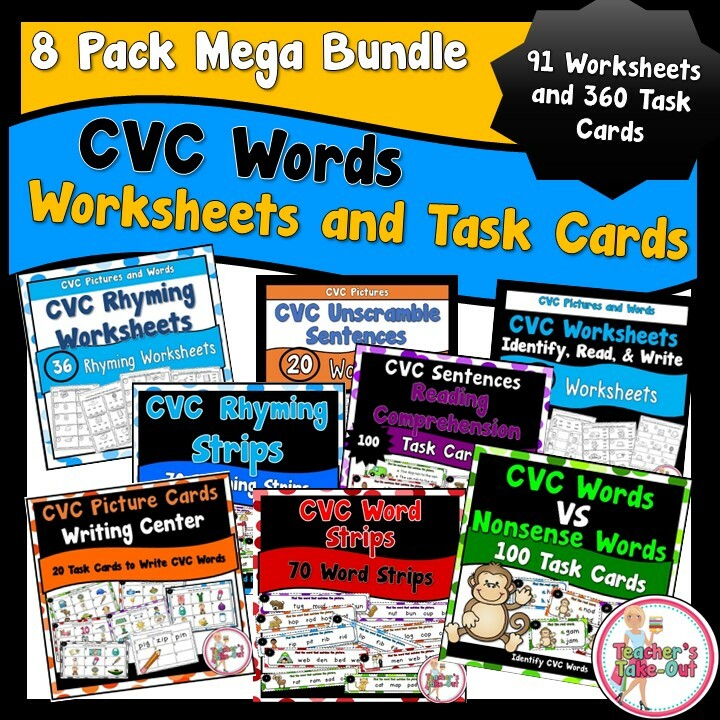 To see if this pack is the right fit for your classroom, download the FREE worksheet below. 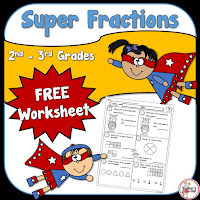 Click here to try a FREE worksheet from the Super Fractions pack from above. 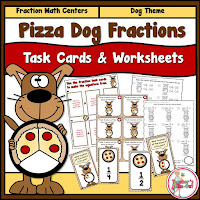 Click and download this assessment worksheet to see how well your students do with fractions. 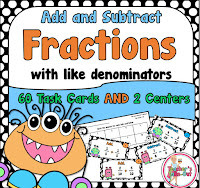 If your students pass this fraction assessment, then you do not need the pack above. 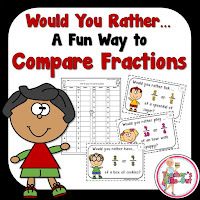 But, if your students cannot pass or have trouble with the fractions in this assessment, you might want to think about getting the Super Fractions Worksheets. 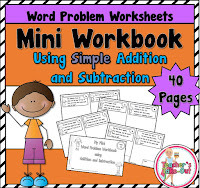 Click the FREE fraction worksheet to download today and use in your classroom. 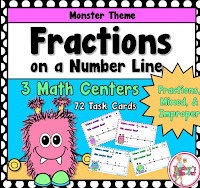 I love fractions! 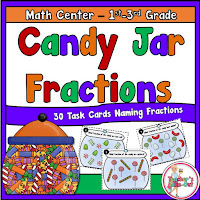 I've created a few more fraction resources. 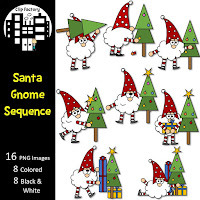 Click on the picture below to read more about each one. 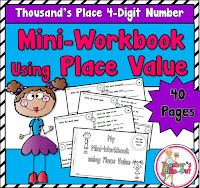 Don't miss my next post or Freebie! 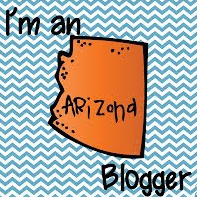 Sign up on Bloglovin to stay tuned. 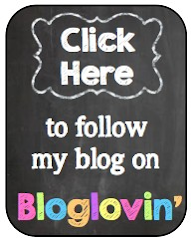 I also offer a discount to all my blog followers. 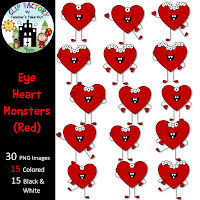 Check out my store right here on Teacher's Take-Out!